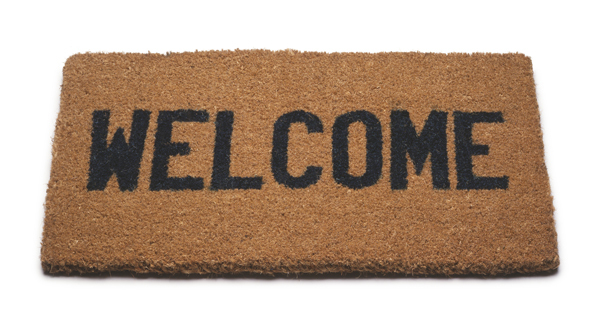 If we are going to welcome our members, whether new or returning, that welcome has to be....well, welcoming. This means that a form letter of greeting simply formatted with their name on top does not cut it. Deirdre Reid posts on this (both part 1 and part 2 ) are right on target with how we should be approaching this important opportunity. One of the main projects that I have on tap for 2012 is to start a monthly orientation webinar (one of the new approaches that Deirdre mentions). After some dialogue on the topic on the ASAE Membership Listserve, I am sharing my outline below for what will be included, and hope that you will comment on what I am missing, anything that seems superfluous or boring, and if you are running one - what you have seen work. Basic Premise: Members who are new to an association often are only aware of their subjective point of entry. If they joined through certification, they may not be aware of conference opportunities. If they joined through a chapter/component they may not be aware of virtual education opportunities. If members are going to maximize the value inherent to their membership they do not need a listing of benefits as much as an orientation and welcome to all the aspects of the organization/community to which they now belong. Once a month we are going to run a live webinar to give a tour of the landscape and opportunities that members have at any time. While every new member will be directly invited to attend one of these webinars, it will also be offered to current members. The broad appeal of this approach became apparent at the last annual conference when, upon hearing the premise of the webinars, a number of board members asked if they would be allowed to attend to refresh their knowledge on all the association has to offer. 1. All attendees will be encouraged to arrive a few minutes early for introductions. While I am a strong believer that we need to deliver on the timing we promise and not run late, I have also found that many people are willing to come a little early with little negative impact. Content Outline: Each department within the association (conferences, certification, education, publications, etc.) has been asked to construct a 3-5 minute orientation and tour of their subject area highlighting the value members can gain through greater interaction, portals for involvement, and simply how to navigate the website and private social media platform for maximum output. These presentations are specifically NOT supposed to be sales pitches, or lists of discounts. If at all possible departments have been asked to approach this project with a narrative framing - how can they tell the story of the vital nature of their work to the professional. In addition, every month each department will have the option of having one of their team members lead their part of the tour. Rotating around who is orienting members both ensures that all staff have the chance to share with members while allowing members to meet staff they may otherwise only see in a signature line. Finally, this will be an opportunity for departments to also use lightening polls in a live context. With a maximum of 2 or 3 integrated polls each month, during the webinar a department can ask a top question on their mind - What is the next webcast topic members would like to see? What session should be at conference that would make it impossible to not attend? Testimonials: Each month a different board member will be invited to attend the webinar and share, in brief, their own story of involvement and the value they have realized in their ongoing relationship with the association. Q&A directly with a board member will also hopefully break down some of the hierarchy barriers between new members and established leaders. This is also a great chance for board members to be directly involved in a way that does not require a committee or budgetary decisions. 1. If they see a local event that looks interesting, encourage the member to sign up right then and there. After the webinar, check to see who signed up for the events and pass the information to the local chapter leader to make sure they personally greet them and help them feel welcome. 2. When reviewing the private social network platform take a minute break and encourage everyone to friend/connect someone else that is on the webinar. They will make a new connection, have a chance to use the software and have a new colleague with whom they continue the conversation after the webinar. Involvement: Perhaps the most important part - the call to action. If the above sections are successful in sharing the value of membership, paths of activity and a welcoming community many participants will hopefully want to know how to get involved. Minimally, this is where the association can share a top 5 next steps - free downloads of content, conversations to join, magazine articles to explore, etc. Giving no-cost ways for members to immediately interact with the association will make it that much more likely that they will continue interacting going forward with both products and personal involvement. Maximally, this is also where volunteer opportunities and sign-ups can be shared. For this to ideally work there should be a range of possibilities, from content contribution to micro-volunteering options. Q&A: What else do they want to know? What questions did we answer that led to more questions? Thank you and invitation to continue the conversation: At the conclusion it is important to acknowledge how vital their involvement is not only to the association but also to the profession. For the main staff contacts, their pictures and information will be displayed once again with an invitation to connect with them immediately on social media, and at any time in the future. And that's it for now - What is missing? What else do you do? Please comment below with feedback! I think this is a great start. I'm sure it will evolve as you take your new orientation for a spin. It might be worth following up with some of the participants to see what next steps they take and how the orientation could have a stronger impact on them. Good luck!